1. Apply a small amount of ink onto the craft mat. 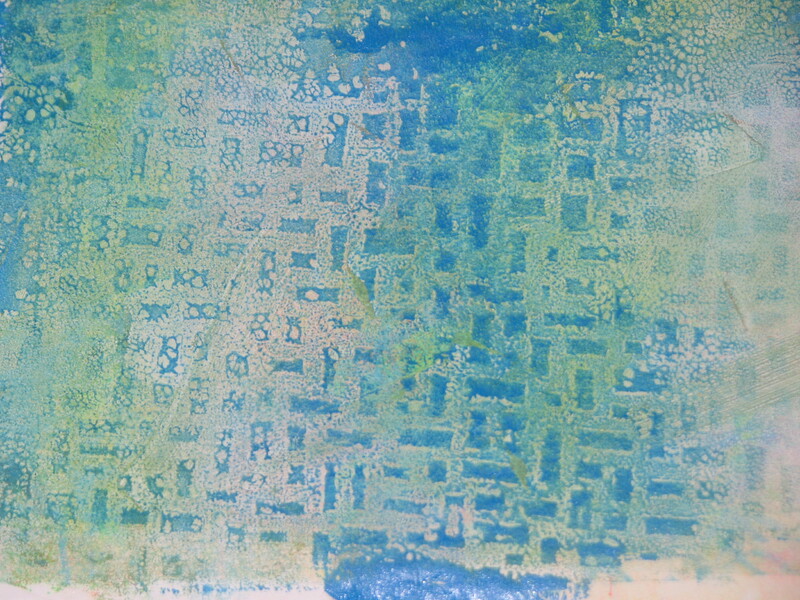 Use a brayer to roll ink out in thin layer. 2. 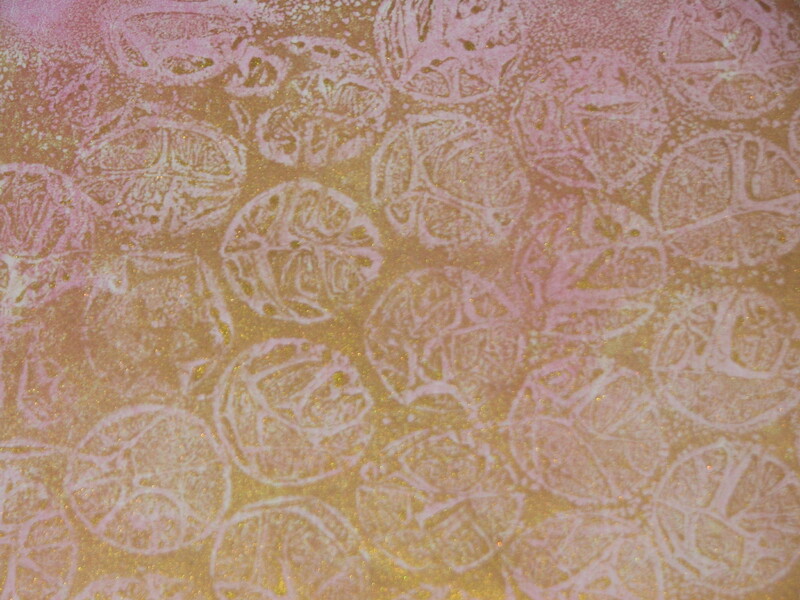 Play a little at this point to create various patterns and designs in the ink. Use a Brushstix to draw in the ink, stamp into the ink. 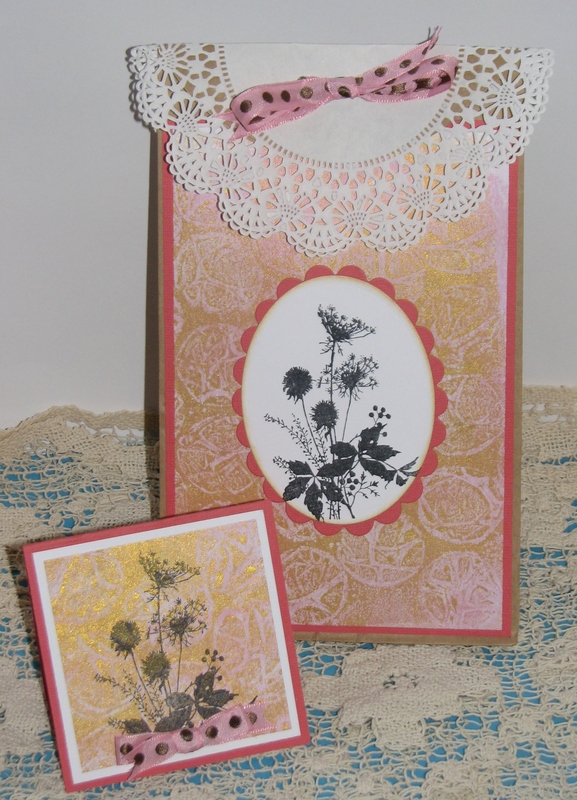 Use stencils, found objects, lace, fabric, etc and press them into the ink, etc. Just have fun! 3. 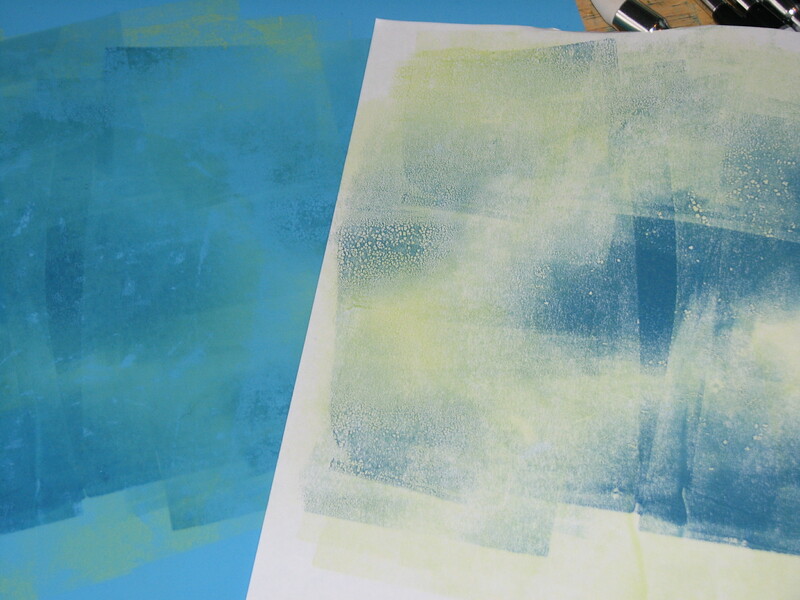 Make a print by placing a sheet of paper over the ink. Gently rub the back of the paper to ensure a complete print. 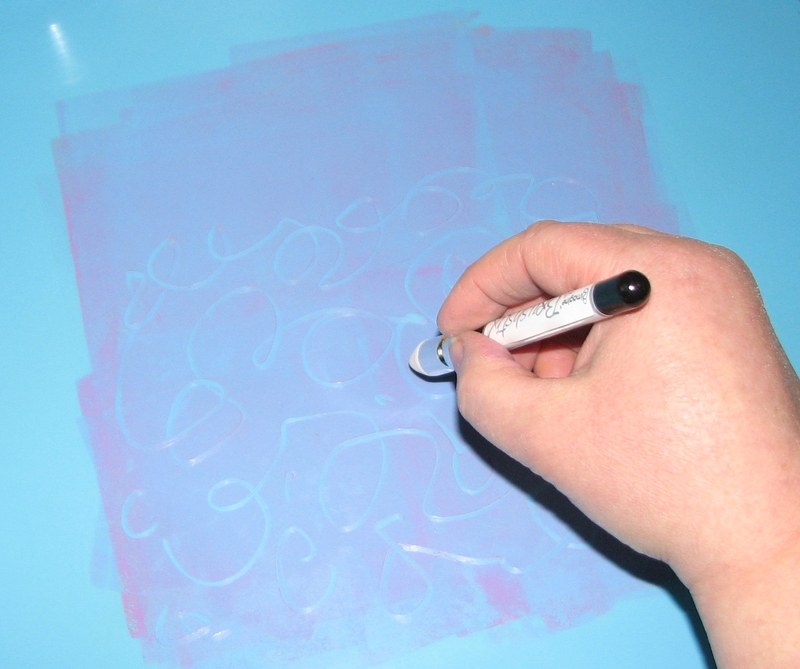 Peel the paper off of the ink/craft mat. 4. 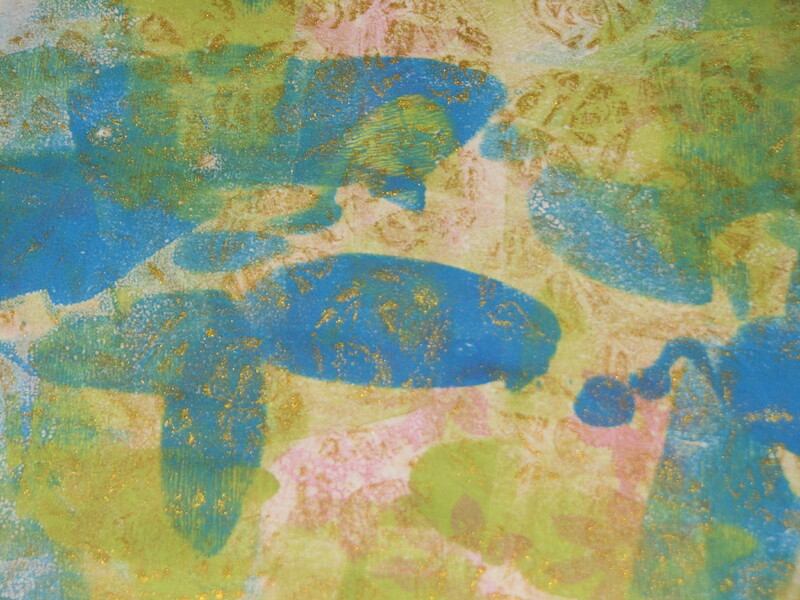 Continue to add one or more layers to each print as desired. 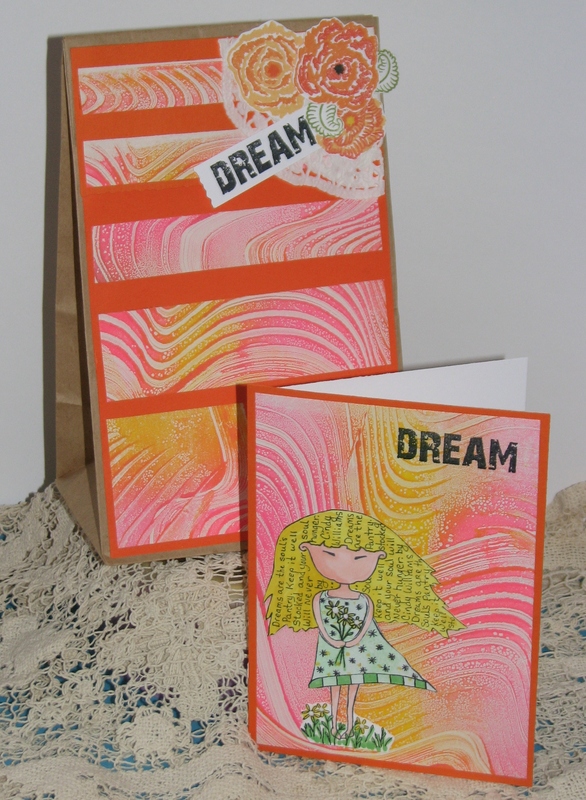 These are just a few of the prints I made using a combination of Memento Luxe, Delicata and Radiant Neon inkers on the Craft Mat. 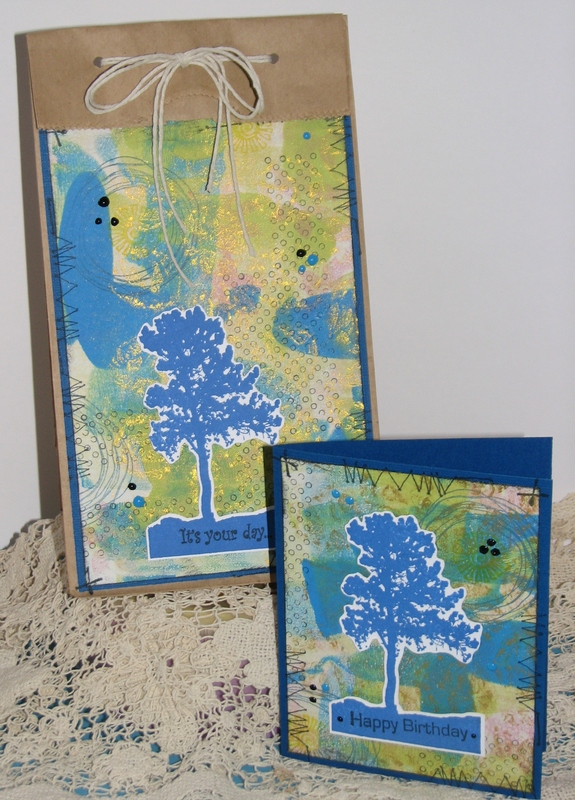 Here are just a few examples of what can be made using these prints.